Legislative Drafting Guidelines: How Different Are They from Controlled Language Rules for Technical Writing? 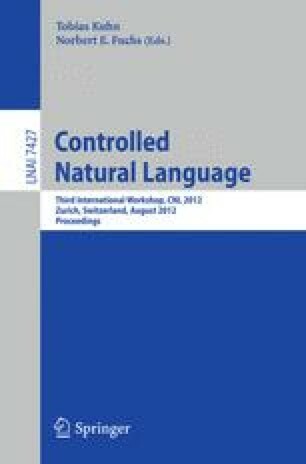 While human-oriented controlled languages developed and applied in the domain of technical documentation have received considerable attention, language control exerted in the process of legislative drafting has, until recently, gone relatively unnoticed by the controlled language community. This paper considers existing legislative drafting guidelines from the perspective of controlled language. It presents the results of a qualitative comparison of the rule sets of four German-language legislative drafting guidelines from Austria, Germany and Switzerland with a representative collection of controlled language rules published by the German Professional Association for Technical Communication. The analysis determines the extent to which the respective rule sets control the same or similar aspects of language use and identifies the main differences between legislative drafting guidelines and controlled language rules for technical writing.